Powered by Samsung V-NAND Technology. 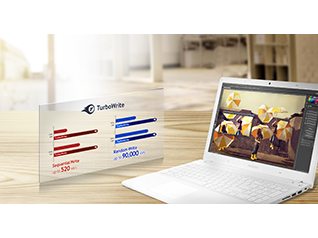 Optimized Performance for Everyday Computing Needs for Ultra-Thin Laptops. 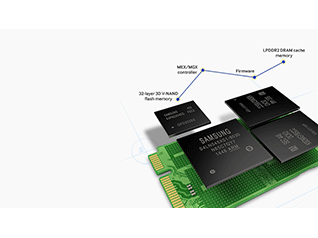 Samsung's V-NAND flash memory helps to overcome the limitations of conventional planar NAND architecture. It stacks 32 cell layers vertically over one another rather than trying to fit itself onto a fixed horizontal space, in order to provide high density and performance with a small footprint. 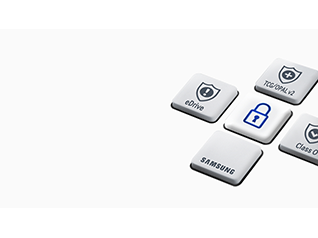 Samsung’s TurboWrite technology helps to maximize your computing ability. The 850 EVO delivers exceptionally high performance in sequential read (540MB/s) and write (520MB/s) speeds, as well as optimized random performance for high-end computing on client PCs. Samsung’s Magician software provides a Rapid Mode for fast processing speeds on a system level by utilizing unused PC memory (DRAM) as cache storage, as well as high performance at various random queue depths. 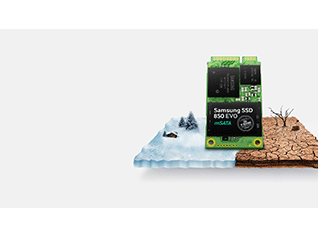 The 850 EVO offers endurance and reliability with a high TBW (Total Bytes Written), all backed by a 5-year limited warranty up to 75TBW. It also mimimizes performance degradation over time, in order to provide sustained performance for business users. Enjoy long battery life on your notebook to maximize productivity, thanks to a controller optimized for Samsung's V-NAND technology. 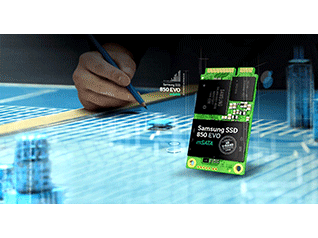 The 850 EVO is also highly energy efficient as compared to planar NAND technology¹. Secure data without performance degradation thanks to AES 256-bit encryption that is compliant with TCG/Opal. 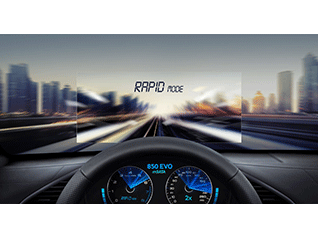 The 850 EVO is also compatible with Microsoft® e-drive IEEE1667 for extra protection to help secure your peace of mind. 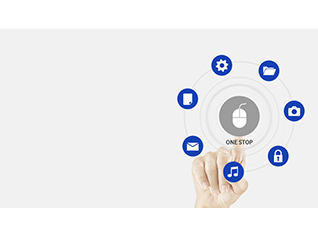 Our One-Stop Install Navigator software allows you to migrate all the data and applications from your existing primary storage to the 850 EVO in three simple steps. The Samsung Magician software also allows you to optimize and manage your system in a manner that is best suited for the SSD. The 850 EVO is built from Samsung Components that are designed and manufactured in-house to allow complete optimized integration. 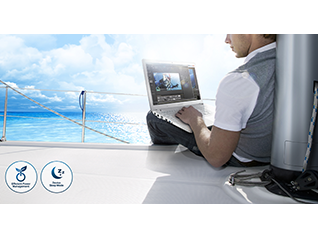 This means high performance, low power consumption and excellent energy-efficiency with the MGX controller.